Thanks for checking out our work! Please note that we’ve worked on many more projects than the few shown below. When working for other web designers and developers, which we often do, we don’t publicly show the finished product as our own work. If you are interested in more examples or client references, please contact us. 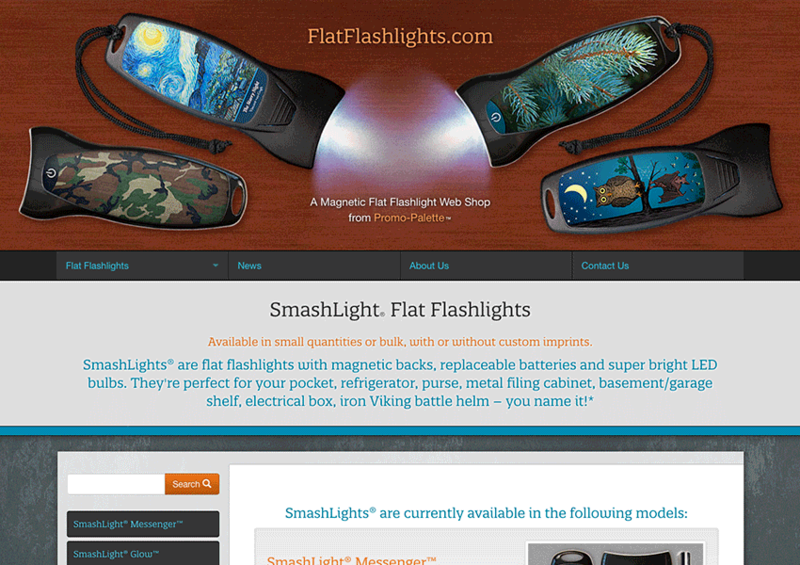 FlatFlashlights.com is an e-commerce website from Promo-Palette (that name sounds familiar...), featuring SmashLight® Flat Flashlights from Bentcil®. Their stock designs are available in quantities as low as 1, with bulk and custom imprinted labels in quantities as low as 25. They currently feature the SmashLight® Messenger (great value) and SmashLight® Glow (premium back-lit art panel), and will be adding new products and designs soon. 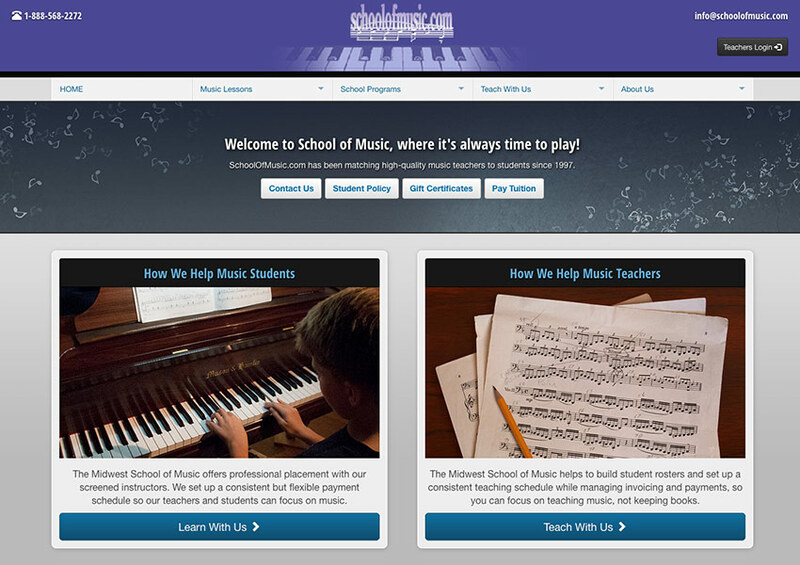 SchoolOfMusic.com is a website for the Midwest School of Music. It's a great resource for finding local Indiana music teachers, for lessons in your own home or in a music studio. They match music teachers to students, provide references and background checks, and generally help to make sure your music lessons are great. They also provide valuable resources to their music teachers, including invoicing and billing support and help in finding and screening new student requests. 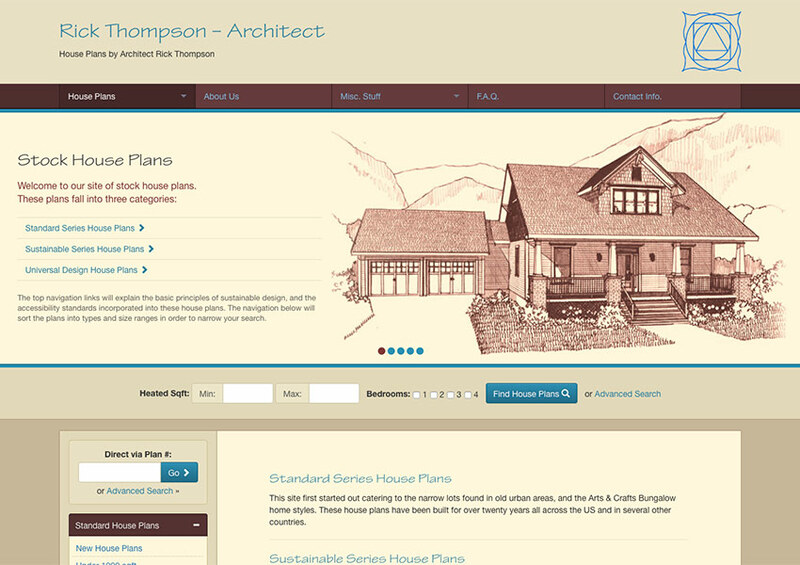 ThompsonPlans.com is an e-commerce and plan database website for Rick Thompson, Architect. The site catalogs and sells Rick's stock house plans, which feature narrow lot house plans, sustainable house plans and universal design house plans. These house plans have been built and refined for over 20 years, and specializes in working with small business builders. 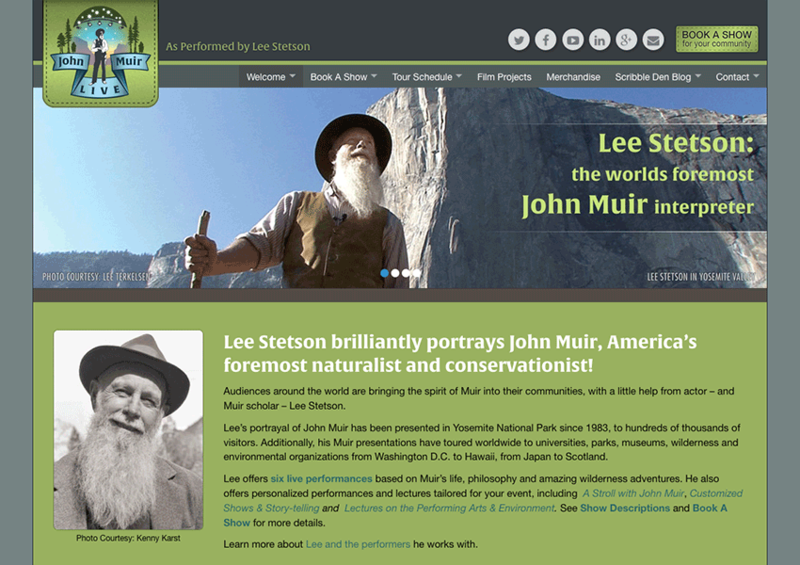 JohnMuirLive.com is a promotional website for Lee Stetson, a performer who among other things portrays John Muir, perhaps most notably in Ken Burns' acclaimed series The National Parks – America's Best Idea. The fantastic clean design for this site is by Paris Nattboy of Mud Pie Creative, who I've had the honor to work with for several years. My own work has been mostly with the development and coding. 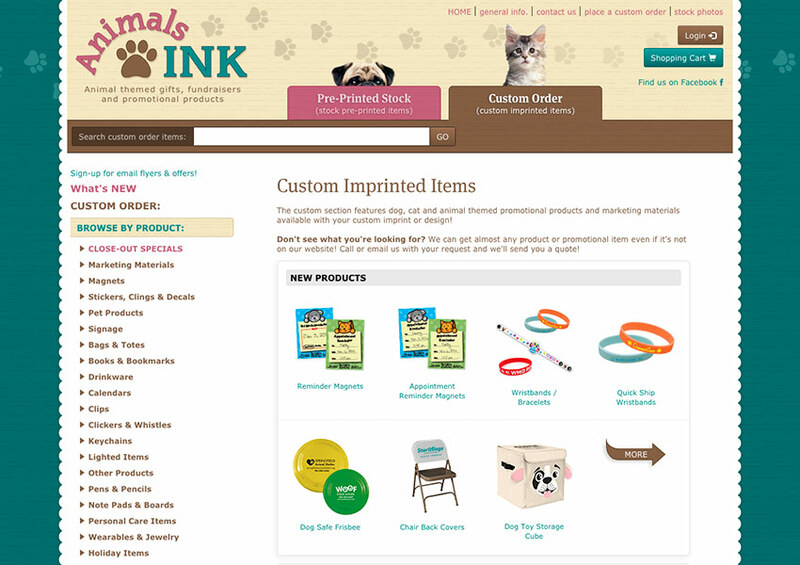 AnimalsINK.com is a distributor offering a wide variety of pre-printed and custom imprinted animal themed gifts, fundraisers, promotional products, car magnets, and marketing materials, catering to pet groomers, animal rescues and shelters, dog daycares and pet boarding, veterinarians and animal clinics, pet bakeries & boutiques, dog walkers, pet sitters, and more. 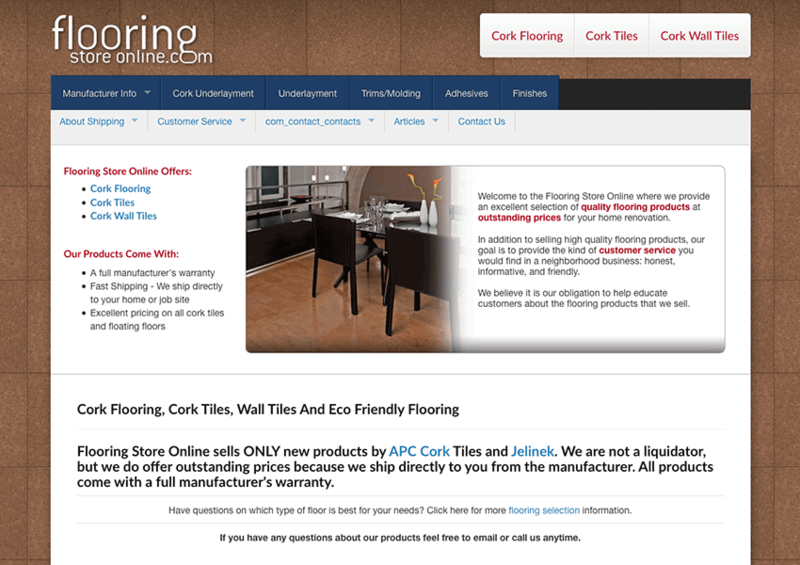 FlooringStoreOnline.com, formerly CorkInnovations.com, is an e-commerce shop featuring high quality cork flooring, cork wall tiles and support materials like trims, molding, adhesives and finishes. They offer excellent pricing on all cork tiles and floating floors, a full manufacturer's warranty, and fast shipping, directly to your home or job site.